Courtesy Master Masons Degree for Bro. David Timmerman and Bro. 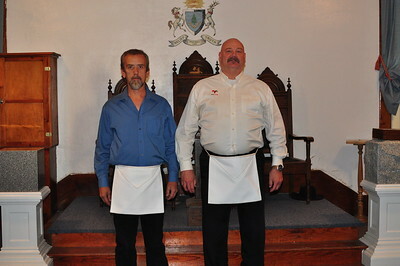 Allan Edholm both of Wausa Lodge No. 251, Wausa, Nebraska. With the Degree Team. 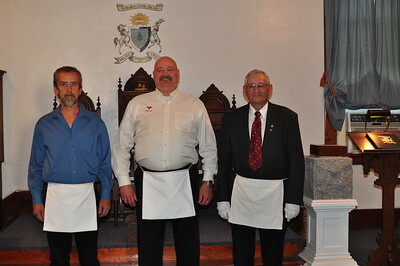 (L-R Front) WBro. Alvin Benemerito - Senior Deacon, WBro. Terry Foxworthy - Senior Steward, WBro. Phil Brown - Senior Warden, WBro. Darrel Steele (Silver Cord 224) - 2nd Ruffian, Bro. David Timmerman, Bro. Allan Edholm, WBro. Mike Hitchcock (Silver Cord 224) - 3rd Ruffian, WBro. Stan Weidner - Junior Deacon, WBro. Chet Wales (Custer 148) - Seafaring and Wayfaring man. (L-R Back) Bro. Gerald Van Every - Junior Steward, Bro. Jeremiah Schartz - Junior Warden, WBro. 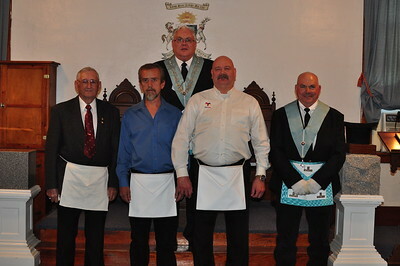 Mike Burns (Wausa 251) - Questions, WBro. Scott Emmett - Worshipful Master, WBro. Barry Frerichs - Chaplain, WBro. Howard Fairbairn (Blazing Star 200) - Secretary, WBro. Doug Kristensen (Wausa 251) - Marshal. 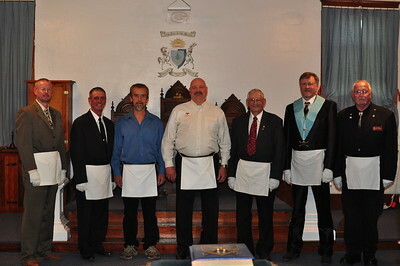 (Front L-R) WBro. 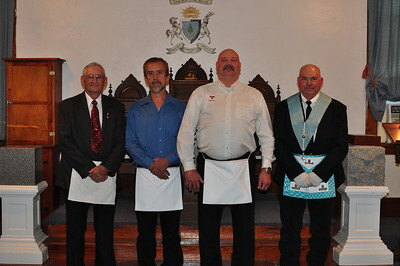 Harry Sage - Master of Wausa Lodge No. 251, Bro. David Timmerman, Bro. 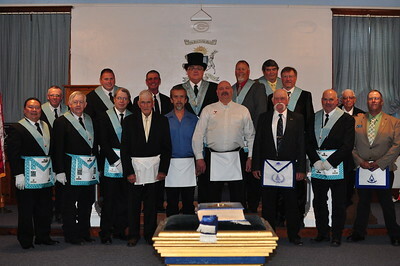 Allan Edholm and WBro. Stan Weidner - Master of Long Pine Lodge No. 136.